Dark red onion, also known as the richest source of dietary flavonoids, is a versatile plant that can provide a health boost to almost anyone. 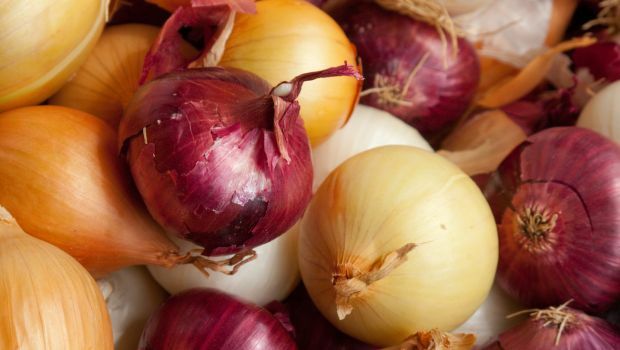 Some nutrients in onions such as quercetin, allicin, anthocyanin and chromium — have been said to fight bacteria and fungi, reduce high blood pressure, promote cardiovascular health and also aid in weight loss. However, a latest research and study suggests that this culinary plant may also help fight off cancer of the colon and breast. “We found that onions are excellent at killing cancer cells,” said Abdulmonem Murayyan, doctoral student at the University of Guelph in Ontario, Canada. However, in the first study, which was conducted to examine how successful onions are at killing cancer cells, researchers have found that not all onions are created equal. Five onion types grown in Ontario were tested by the team and it was found that the Ruby Ring onion variety (that has a firm, hard, tall globe-shaped bulb with dark red colour) came out on top. Further, when colon and breast cancer cells were placed in direct contact with the quercetin extracted from the five different varieties of onion, it was found by the team that they were effective at killing the cancerous cells. “Onions activate pathways that encourage cancer cells to undergo cell death. They promote an unfavourable environment for cancer cells and disrupt communication between cancer cells, which inhibits growth,” Murayyan added. The present findings and research are based on a previous study by the researchers to find a new extraction technique that removes the use of chemicals, making the quercetin found in onions more suitable for consumption. This technique and method is important as it’ll make onions’ cancer-fighting properties available in pill form. The dark red onion has been a crucial vegetable in Mediterranean cooking for thousands of years which could also be used to explain the lower rates of cancerous diseases in southern parts of Europe. It is also recommended that dark red onions should be eaten raw as any type of cooking can lead to the essential nutrients in it being killed. “The next step will be to test the vegetable’s cancer-fighting powers in human trials,” said Murayyan. Though currently, this superfood can be added to burgers and salads as a preventive measure, researchers hope and expect that the onion extract in the near future will be added to foods such baked goods or juices and will also be available in the form of pills to treat cancer in a natural manner.